Faced with a drop in popularity, intermittent protests against rising prices, and calls for a mass anti-government demonstration, Egyptian general-turned-president Abdel Fattah Al-Sisi, is seeking to appease the country’s youth, soccer fans and activists with promises of change. Mr. Al-Sisi’s efforts that include a one-time lifting of a ban on spectators attending soccer matches and promises of revisions of Egypt’s draconic anti-protest law as well as a review of the cases of youth detained without trial and monthly meetings with young people to follow up on resolutions of a national youth conference held earlier this month have however provoked sharp criticism even before they got off the ground. An Egyptian poll reported this month that Mr. Al-Sisi’s popularity had dropped 14 percent. Writing in Al Masry Al Youm newspaper, journalist Omar Hadi rejected Mr. Al-Sisi’s addressing youth as his sons and daughters, insisting that the country’s youth were citizens with duties and rights. As the government-organized conference opened, a highlight in Mr. Al-Sisi’s declaration of 2016 as the year of the youth, Twitter lit up with youth organizing their own virtual gathering. Mr. Hadi’s rejection and the counter-conference constituted far more than rejection of Mr. Al-Sisi’s brutal repression of dissent and widespread disillusion with the president’s promise of a bright future of social and economic opportunity. Against the backdrop of severe economic deterioration since Mr. Al-Sisi came to power in a military coup three years ago and the prospect of severe austerity as part of an International Monetary Fund (IMF) bail-out program, Mr. Hadi and the counter conference’s rejection of being sons and daughters amounted to a rejection of neo-patriarchism, the fundament of Arab autocratic rule. A phrase coined by American-Palestinian scholar Hisham Sharabi, neo-patriarchism involves projection of the autocratic leader as a father figure. Autocratic Arab society, according to Mr. Sharabi, was built on the dominance of the father, a patriarch around which the national as well as the nuclear family were organized. Between ruler and ruled as between father and child maintain vertical relations. In both settings, the paternal will is absolute, mediated in society as well as the family by a forced consensus based on ritual and coercion. At the top of the pyramid, resides the country’s leader as the father of all fathers. The virtual conference raised the very issues the official conference that included sessions on topic such as ‘the relation between public freedom and political engagement of youth’ and ‘the study of the causes of violence in football stadiums and the methods of retaining spectators’ sought to control. Under the hashtag #Where_Have_All_the_Young_Ones_Gone? #الشباب_فين, it focused on the detention of tens of thousands, the disappearance of scores of others, lack of basic freedoms, and the continued closure of stadiums to a soccer-crazy public. A later hashtag, ‘why we should have another revolution,’ leapfrogged to the number one trend on Egyptian social media. “If Sisi held the #National_Youth_Conference in Prison, there would have been a larger attendance than Sharm El-Sheikh,” the resort town in the Sinai, quipped tweeter Naga7_Jan25, an avatar that refers to the date in 2011 on which mass protests erupted in which militant, street battle-hardened soccer fans played a key role that led to the ousting of President Hosni Mubarak after 30 years in office. “Where else are they going to be? They are either going to be buried in the ground, or imprisoned above ground or thrown off the grounds completely,” added Adel Emaldelden. As part of Mr. Al-Sisi’s fledgling efforts that also included various failed attempts in the past to either repress or co-opt soccer fans, the government announced that 75,000 spectators would be allowed to attend a 2018 World Cup qualifier on November 13 in Alexandria's Borg El-Arab Stadium. The announcement followed the admission of 70,000 people to a match between storied Cairo club Al Zamalek SC, whose militant Ultras White Knights (UWK) fans, have a long history of anti-government protest, and South Africa’s Mamelodi Sundowns FC. Nevertheless, the publication in Egypt’s tightly controlled media of several incidents of individual protest has prompted speculation that some within the military were sending their former top commander a message that he needs to get a grip on discontent that could spiral out of hand. An Egyptian television station broadcast an outburst by a tuk tuk driver who vented his fury at Egypt’s economic plight. The video clip garnered some 10 million hits on the television station’s website before it was taken down as well as on social media where it remains accessible. It remains an open question whether mushrooming discontent that is spilling into the open amounts to the makings of renewed mass protests. Many Egyptians look at the horrendous state of post-2011 popular revolt countries wracked by wars and violence such as Libya, Yemen and Syria and don’t want to see their country travel that road. Nonetheless, economic hardship and repression appear to be reaching a point at which an increasing number of Egyptians are no longer willing to remain silent. Pressured by human rights and trade union activists leveraging Qatar's exposure as a World Cup host and influenced by subtle changes sparked by popular Arab revolts in recent years, young Qataris are pushing the envelope, broaching publicly hitherto taboo subjects like homosexuality, women's dress codes, and citizenship. The pushing of the envelope may be the most marked in Qatar because the prospect of the World Cup in the Guf state has focussed attention on how it will deal with the expected influx of large numbers of soccer fans from less conservative and non-Muslim societies. It is nonetheless reflective of a wider trend in the region in which youth and women are seeking to broaden norms of public and social behaviour. The trend is further driven by the winds of change sweeping the Gulf as the region’s oil-rich nations unable to continue offering cradle-to-grave security and guaranteed public sector employment are forced to rewrite their social contracts that justified autocratic rule. Formally and legally nothing has changed, yet individual attempts to push the envelope are indicative of a desire among various societal groups to have their issues publicly discussed and addressed and a willingness to run greater risk of public attack and humiliation in achieving their goals. Writing in the Doha News, Alnood Al Thani boiled the various debates involving attacks on women who fail to cover their hair while travelling abroad and engage in overseas charity activities in mixed gender groups, and a Qatari gay who described in an article what it means to be homosexual in a society that condemns sexual diversity as well as discussions about who should be entitled to citizenship in a country where foreigners account for the overwhelming majority of the citizenry, down to their essence: what it means to be Qatari. “There isn’t one definition of being a Qatari nor is there one characteristic that makes you Qatari. The majority of the population of Qatar is not from Qatar, and it’s hard to define what it means to be Qatari… There is not a single definition of being Qatari and forcing someone to cover their hair or hide who they are isn’t upholding the image of Qatari society… There is nothing benevolent or respectful in people shaming men and women into complying with their views,” Ms. Al Thani wrote. Ms. Al Thani’s article appeared days after an uproar erupted because another Qatari women, writer and businesswoman Maryam Al-Subaiey, appeared unveiled with make-up and her long, curly black hair flowing freely on French television, to discuss how Qatari women perceive themselves. Like Ms. Al-Subaiey, 28-year-old Saudi pharmacy student Bashayer Al Shehri and other young women in the kingdom are challenging the country’s strict dress codes that allow only a woman’s eyes to be visible. Ms. Al Shehri decided to shed the black veil she wore in public throughout her adult life and to simply were a headscarf. “I just decided that society is changing and I’m going to just try to see, and it was so easy. 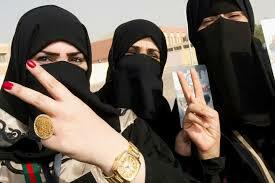 I didn’t really notice any difference of treatment of people and how they perceive me,” Ms. Al-Shehri told Bloomberg News. Curbs on Saudi Arabia’s notorious religious police as part of a bid to be more attentive to youth concerns and ease restrictions on women encourage women like Ms. Shehri. Similarly, 14,000 Saudi women have petitioned King Salman to end male guardianship, which forces women to get a male relative’s permission to travel and in many cases study or work. The women activists are beginning to get traction. A senior member of Saudi Arabia’s top Muslim clerical body, Sheikh Abdullah al-Manea, appeared to support the petition, saying the guardianship should apply only to marriage while Saudi Arabia’s toothless Shura or Advisory Council is expected to discuss “suitable conditions” under which women would be allowed to drive. Earlier this month, gender segregation was all but absent with men and women clapping side-by-side as New York-based theatrical group iLuminate took the stage in Riyadh as part of Deputy Crown Prince Mohammed Bin Salman’s effort to loosen restrictions on music, dance and theatre. Two years, earlier a trip by young Qatari men and women to the Amazon rain forest to build a school for the poor sparked protests because the women were not covered and travelling with men who were not relatives. “It is very jarring living here, it is traumatizing to see that you are the cause of your parents’ anguish, that you are shaming your family. It is a constant onslaught, and it is killing me. It has caused irreparable damage to my mental health. I wouldn’t have chosen to have been born in a place where my life is tantamount to my death. There is no prospect or future for me here – no normalcy,” Mr. Al-Qatari said. In another challenging of taboos, young Qataris asked on Twitter why professionals such as doctors and engineers who contribute to Qatar’s development are denied citizenship while athletes competing internationally for the Gulf state are awarded nationality to be able to do so. All these issues – women’s rights, LGBT rights and, foreigner’s rights – are issues that were first publicly raised by international human rights and trade union activists after Qatar was awarded the World Cup in late 2010. The pressure from the activists appears to be now jellying with a greater willingness of Gulf youth to publicly question norms and the need of rulers to upgrade their autocracies as a way of ensuring survival. Gulf youth may not want a repeat of the 2011 popular Arab revolts that except for Tunisia have largely been smouldered in blood. The revolts’ legacy is nonetheless one that has encouraged a willingness to pose questions, put issues on the table, and challenge established norms. It is an environment to which debate about the Qatari World Cup can only contribute. Egyptian-general-turned-president Abdel Fattah Al-Sisi's failed economic policies are prompting protests and widespread expressions of discontent. While the grumbling is unlikely to mushroom any time soon into a popular revolt similar to the one that toppled President Hosni Mubarak in 2011, it goes a long way to explain why Mr. Al-Sisi has refrained from lifting the ban on spectators attending Egyptian soccer league matches. The ban has been in place for much of the last five years. With an anti-government protest scheduled for November 11 and sporadic ones already occurring, Mr. Al-Sisi fears that like in 2011, stadia, if opened, could again become rallying points for the discontented and disaffected. Militant, politicized, and street battle-hardened soccer fans played a key role in the walk-up to the 2011 revolt, the protests on Tahrir Square that forced Mr. Mubarak out of office, and subsequent demonstrations against successive governments. A Facebook page titled The 25th Jan Revolution in commemoration of the day in 2011 that the revolt against Mr. Mubarak erupted has called for a revolution of the poor. The page has attracted until now only 40 interested people and 23 declarations of willingness to participate. While low those numbers are problematic given Egypt’s draconic anti-protest law and brutal repression of any form of dissent, they likely represent a broader sentiment in society. 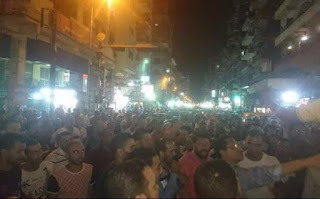 Despite the low probability that widespread discontent will jell into a large-scale willingness to run significant risk and defy the regime, the call for the protest is but one of a number of incidents signalling that anger in Egypt is beginning to boil at the surface. In contrast to 2011 when the Egyptian military was held in high regard because of its refusal to crush the revolt on Mr. Mubarak’s behalf, the more recent incidents have targeted the armed forces, holding it responsible for the country’s dire economic straits. An Egyptian taxi driver, in an incident similar to the one that sparked the popular revolt in Tunisia almost six years ago and the subsequent uprising elsewhere in the Middle East and North Africa, set himself alight last weekend in protest against rising prices and deteriorating living conditions. The 30-year-old driver, Ashraf Mohammed Shaheen, who was rushed to hospital with burns covering 95 percent of his body, staged his protest in front of a military facility in the Mediterranean port city of Alexandria. Mr. Shaheen’s protest resonated on Twitter where the hashtag #Bouaziz_Egypt gained significant traction. Mohamed Bouazizi was the Tunisian street vendor who set himself on fire in December 2010 and sparked the Arab popular revolts. A video of a tuk tuk driver furious at Egypt’s economic plight that was initially broadcast on a pro-government station went at about the same time viral logging some six million hits on Al Hayat TV’s Facebook page before it was taken down. Another 4.4 million have since viewed it on another Facebook page where it had been posted. "You watch Egypt on television and it's like Vienna, you go out on the street and it's like Somalia's cousin… We had sufficient sugar and enough rice before the last presidential election and we even exported it. What happened? Where did the sugar go? They squander our money so-called national projects that are useless and education in Egypt that is very bad, even worse than you can ever imagine,” the driver fumed in a man-on-the-street interview in a popular Cairo neighbourhood. The driver was lamenting shortages of staples such as rice, sugar and oil due in part to a lack of foreign currency and the plunging value of the Egyptian pound on the black market. “What does it mean that the army says it will subsidise red meat? Why does the army control electricity? Why do they control gas? Why do they control the sewers?” she asked in reference to the military’s vast economic interests. Mothers carrying their infants protested last month against the rising price of baby milk as a result of shortages. The protest prompted Mr. Al-Sisi to order the military to dispatch trucks across the country loaded with baby milk that soldiers sold at half the market price. Earlier, Egypt’s state broadcaster attempted unsuccessfully to calm simmering anger with a series of television ads that highlighted the achievements of Mr. Al-Sisi’s government such as the expansion of the Suez Canal. The immediate future holds out little hope of economic improvement. Mr. Al-Sisi has urged Egyptians to tighten their belts further in advance of a $12 billion bailout loan from the International Monetary Fund (IMF) that will require the government to take additional austerity measures, devalue the pound, and increase prices. In the time of Mr. Mubarak, soccer stadia were one of the few places where Egyptians could vent their frustration and pent-up anger. The stadia also emerged as a grunt school for militant, well-organized soccer fans who became street battle-hardened in frequent clashes with the security forces. With few exceptions, stadia have been closed since the protests against Mr. Mubarak erupted in January 2011. Mr. Al-Sisi has opted to keep the stadia closed despite repeated talk that fans would be allowed to return in apparent fear that they could again emerge as venue in which anti-government sentiment galvanizes. This week’s decision by Pakistan’s Supreme Court to delay ruling on an appeal in the country’s most notorious blasphemy case and the thousands of security personnel deployed in its capital, Islamabad, in anticipation of a verdict, lay bare the degree to which Saudi supported ultra-conservative worldviews abetted by successive Pakistani governments have changed the very nature of Pakistani society. At stake in the court case is more than only the life of Asia Bibi, a Pakistani Christian mother of five who has been on death row since 2010 when she was convicted of insulting the prophet Mohammed in a bad-tempered argument with Muslim women. The court has yet to set a new date for the appeal, but ultimately its decision on Ms. Bibi’s fate will serve as an indication of Pakistan’s willingness and ability to reverse more than four decades of Saudi-backed policies, including support for militant Islamist and jihadist groups that have woven ultra-conservative worldviews into the fabric of Pakistani society and key institutions of the state. In an ironic twist, Pakistani Prime Minister Nawaz Sharif with his close ties to Saudi Arabia is groping with a dilemma similar to that of the kingdom: how to roll back associations with puritan, intolerant, non-pluralistic interpretations of Islam that hinder domestic economic and social progress and threaten to isolate his country internationally. It’s a tall order for both countries. Saudi Arabia’s ruling Al Saud family founded the modern day kingdom by forging a power sharing agreement with ultra-conservative followers of 18th century preacher Mohammed ibn Abd al-Wahhab. The Al Sauds constitute the only Gulf rulers who cloak their rule in religious legitimacy granted by the country’s ultra-conservative religious establishment. Losing that legitimacy could endanger their survival. Successive Pakistani governments benefitted and abetted almost half a century of massive Saudi funding of ultra-conservative thinking in a bid to enhance Saudi soft power and counter more nationalist, revolutionary and liberal worldviews. Pakistani and Saudi interests long jelled in the support of militant Islamist and jihadist groups that targeted Muslim minorities viewed as heretics by ultra-conservatives, confronted with US backing Soviet occupation forces in Afghanistan, nurtured the rise of the Taliban, and served Pakistan in confronting India in its dispute over Kashmir. In doing so, Saudi Arabia and Pakistan unleashed a genie that no longer can be put back in a bottle. It has pervaded Pakistani society and branches of government in ways that could take a generation to reverse. The timing of the delay of the court ruling may have been coincidental but it came days after the Sharif government took a first step in seeking to change course. Pakistan’s civilian, military and intelligence leaders had gathered three days earlier for an emergency meeting in which Sharif and his ministers warned that key elements of the country’s two-year old national action plan to eradicate political violence and sectarianism, including enforcing bans on designated groups, reforming madrassas, and empowering the National Counter Terrorism Authority (NACTA) had not been implemented. The 20-point plan was adopted after militants had attacked a military school in Peshawar in December 2014, killing 141 people, including 132 students. In a blunt statement during the meeting, Foreign Minister Aizaz Ahmad Chaudhry charged that Pakistan risked international isolation if it failed to crack down on militant groups, including Jaish-e-Mohammed, Lashkar-e-Taiba; and the Haqqani network – all designated as terrorist groups by the United Nations. Mr. Chaudhry noted that Pakistan’s closest ally, China, with its massive $46 billion investment in Pakistani infrastructure, continued to block UN sanctioning of Jaish-i-Mohammed leader Masood Azhar, but was increasingly questioning the wisdom of doing so. The court delayed its ruling after one of the judges recused himself because of his involvement in legal proceedings related to the 2011 assassination of former Punjab governor Salman Taseer by Mumtaz Qadri, a former elite police force commando. Taseer was a vocal opponent of Pakistan’s draconic blasphemy laws and supported Ms. Bibi. Mr. Qadri became a hero despite being sentenced to death. Tens of thousands of people poured into the streets of Islamabad to honour him after he was executed earlier this year. Authorities feared that a court ruling in favour of Ms. Bibi would spark mass protests. The delay in the court ruling simply postpones a potential confrontation. It is a confrontation that was long coming. Pakistan’s blasphemy law fits decades-long Saudi use of its political clout and financial muscle to promote anti-blasphemy laws and curtailing of freedom of expression and the media beyond its borders. The Saudi effort benefitted in the post 9/11 era from a global trend in democracies and autocracies alike to curb free speech. 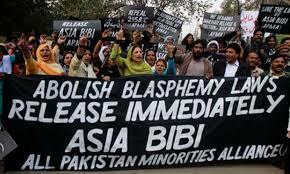 “The issue of blasphemy is destroying whatever strands of pluralism remain,” warned Pakistani researcher Nazish Brohi. Notions of blasphemy propagated by the Saudi Arabia have led the kingdom to execute those that refuse to publicly subscribe to its narrow interpretation of Islam. In Bangladesh, secular bloggers risk being hacked to death while jihadists slaughter those they think have insulted their faith in an effort to stymie all debate. Pakistan’s electronic media regulator this year took two television shows off the air during Ramadan for discussing the country’s blasphemy laws as well as the persecution of Ahmadis, a Muslim sect viewed by ultra-conservatives as non-Muslim. A proposal in recent years by Saudi Arabia and other Muslim nations to criminalize blasphemy in international law legitimizes curbs on free speech and growing Muslim intolerance towards any open discussion of their faith. The proposal was the culmination of years in which the kingdom pressured countries to criminalize blasphemy and any criticism of the Prophet Mohammed. Increasingly, the pressure constituted the kingdom’s response to mounting anti-Muslim sentiment and Islamophobia in the wake of attacks by the Islamic State in European and Middle Eastern nations, including Paris, Ankara and Beirut, and the October 2015 downing of a Russian airliner, and mounting criticism of Saudi Arabia’s austere interpretation of Islam and massive violations of human rights. The criminalization of blasphemy and the notion of mob justice resembles campaigns on Western university campuses for the right not to be offended. Both propagate restrictions on free speech and arbitrary policing of what can and cannot be said. In a lengthy article in a Nigerian newspaper, Murtada Muhammad Gusau, chief imam of two mosques in Nigeria’s Okene Kogi State debunked the Saudi-inspired crackdown on alleged blasphemists citing multiple verses from the Qur’an that advocate patience and tolerance and reject the killing of those that curse or berate the Prophet Mohammed. Saudi anti-blasphemy activism and efforts to curb press freedom date back to 1980 when the government wielded a financial carrot and the stick of a possible rupture in diplomatic relations in an unsuccessful bid to prevent the airing on British television of Death of a Princess, the true story of a Saudi princess and the son of a general who were publicly executed for committing adultery. Saudi Arabia forced Britain to recall its then ambassador, James Craig, in protest against what it called “the British Government's negative attitude toward the screening of the shameful film." In addition, the kingdom imposed limitations on visas extended to executives of British companies while US construction companies were asked not to subcontract British firms. Saudi Arabia further banned British Airways from flying its Concorde from London to Singapore through the kingdom’s air space. The ban together with a similar one by Lebanon forced BA to chart a longer route for the supersonic flight, which wiped out its profit margin. Concepts of justice as well as of freedom of expression are at the core of Asia Bibi’s case. So is the question of the kind of state and society Pakistan should be. It is an issue both Saudi Arabia and Pakistan are grappling with as they realize that what long was a politically convenient strategy in their various geopolitical struggles is becoming a political and international liability. The problem for both is that reversing course is easier said than done and involves travelling down a volatile, perilous road. 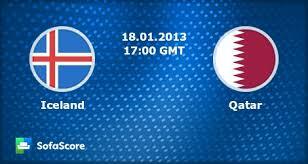 The soccer soft power contrast between Qatar and Iceland speaks volumes. A comparison of the strategies of both countries demonstrates that it takes more than money to leverage soccer to create political, geopolitical and economic opportunity. Money and world soccer body FIFA’s desire to take one of the world’s foremost sporting events beyond Europe and the Americas helped Qatar win the right to host the 2022 World Cup. Six years after the awarding, Qatar is a nation under fire by human rights and labour activists for its controversial labour regime, has yet to convincingly counter widespread suspicions of wrongdoing in its campaign to win its hosting rights, and is suspected by pro-Israeli circles, Christian conservatives and Arab detractors of supporting militant Islamist groups. Iceland is a nation that is emerging from virtual bankruptcy in the wake of the 2008 financial crisis. It lacked the funds to mount the kind of high-profile, flashy sports diplomacy that is central to Qatar’s soft power strategy. Rather than focusing on attention-grabbing moves, Iceland built its strategy around performance on the pitch that took many by surprise and embedded it favourably in the consciousness of soccer fans across the globe. Oil and gas money has bought Qatar entry into the boardrooms of major corporations, catapulted into being a major player in financial markets, and allowed it to employ sports, arts, air transport, high profile real estate acquisitions, state-owned broadcaster Al Jazeera, and a high-powered, fast-moving, mediation-driven foreign policy as building blocks of its soft power. The strategy has enabled the tiny Gulf state to punch above its weight. It has also allowed Qatar to host multiple international sporting events and international conferences that have helped put it on the international map and develop niche tourism. What all of this did not buy Qatar is popularity and respect beyond the corridors of power. British You Gov polls showed that 77% of Brits and 90% of British soccer fans believed that the awarding of the World Cup to Qatar was the result of bribery and corruption. 78 percent favoured the tournament being moved to another country. A similar survey concluded that Qatar Airways had succeeded where the hosting of the World Cup had failed: 96 percent of those polled rated the airline from positive to very positive. Nonetheless, Qatar Airways’ sponsorship of FC Barcelona, which figures prominently in the airlines’ advertising, was extended in July despite an online petition last year that called on the club to ditch the Qataris as its shirt sponsor unless it “treats its workers fairly” attracted within days more than 50,000 signatures. Beyond being a sponsor’s worst nightmare, the petition constituted a first indication of a potential groundswell of fan opposition to Qatar’s hosting of the World Cup. There is little evidence that Qatari reforms of its kafala or labour sponsorship system that have introduced change but not fully abolished it have substantially improved the Gulf state’s image. Qatar’s reputational issues were highlighted this month when the Netherlands Trade Union Confederation (FNV) gave FIFA three weeks to avoid legal action in a Swiss court on behalf of a Bangladeshi migrant worker, Nadim Sharaful Alam. The FNV, the biggest union in the Netherlands with 1.1 million members, is demanding in the first such legal challenge targeting FIFA that the soccer body admit that it should have demanded abolishment of the kafala system as part of the awarding process or concede that the World Cup should not have been awarded to the Gulf state. In contrast to Qatar, Iceland’s stunning performance in June’s European championship and its steady progress in the 2018 World Cup qualifiers – it handed Turkey a defeat on Sunday – has positioned it as the underdog that everyone loves. Not only has it made Iceland a darling of a global soccer-crazy public, it has boosted the country’s bottom line. Icelanders from the country’s president to its foremost writers and businessmen celebrate the impact soccer has had on their ability to do business. “I was in Brazil for the Paralympics [in September] and every Brazilian I met said: ‘Iceland did well in the football.’ Iceland now exists in Brazil, as it were. It will be the same in other countries. Iceland has really made itself known through football and that will help the country in many ways,” the country’s president, Guoni Thorlacius Johannesson, told The Guardian. “I was in America to promote my books in September and everyone you meet has been to Iceland, wants to go to Iceland or their friends have just been there. It’s worldwide. The football team has really put Iceland into focus again,” added Icelandic crime writer Ragnar Jonasson, whose books have been translated into 15 languages and have skyrocketed in France in recent months. Ua Matthiasdottir, rights director at Forlagio, Iceland’s largest publishing house, echoed Mr. Jonasson’s experience, saying soccer had made it easier for him to forge links to publishers in other countries. “It makes it easier when people know your country actually does exist, and the football certainly helped,” the British paper quoted him as saying. Exports of Icelandic products ranging from literature to yoghurt and frozen food have boomed in the wake of Iceland’s soccer success as has tourism and finance. Dairy producer MS Dairies has enlisted the country’s foremost player, Eiour Guojohnsen, as its ambassador. Increased passenger traffic has prompted privately-held Icelandic airline, Wow Air, to order three new aircraft. Qatar’s soccer team too has been performing exceptionally well, raising hopes that it could qualify for the first time for the World Cup finals. The country’s state-owned airline, Qatar Airways, has been continuously expanding its already significant fleet and destination network. None of this has impacted the country’s continued reputational issues. The bottom line is that soccer’s potential as a tool of public diplomacy and soccer is considerable. It takes however more than success on the pitch and money to harness its power. It takes a mix of policies that address both domestic and foreign concerns, an efficient public relations and communications policy, and a measure of transparency and accountability. To be fair the issues for Iceland are easier. Unlike Qatar, it is not struggling with a demography in which the citizenry accounts for a small minority of the overall population that forces the government to walk a delicate tightrope between domestic and foreign concerns. And Iceland does not have the kind of rights issues Qatar is dealing with. Nonetheless, the comparison between two nations in which soccer has become a key element of their public diplomacy, suggests that Qatar could benefit from taking a close look at Iceland’s successful exploitation of the sport. Invariably, Qatar’s issues are complex and not resolved with a stroke of a pen. There are however policies and communication strategies it could adopt which could significantly increase its return on investment in the world’s most popular game. La nación, que está en guerra, únicamente convoca a su selección a quienes apoyan al régimen, el resto se ha ido o unido a las fuerzas rebeldes. Aquí la historia. Firas Al Khatib es considerado el mejor futbolista sirio de la última época. Es un delantero poderoso, con 1.74 metros de altura y una movilidad que lo hacen un goleador nato. Tan sólo en la última temporada registró 14 goles en la Superliga China, con su club, Shenhua Shanghai, pero también ha tenido experiencia en las ligas de Kuwait, Irak y Catar. Con la Selección nacional acumula 27 goles en 40 partidos, con la que no juega un partido desde julio del 2011. Las convicciones políticas fueron la causa de su renuncia. Firas al Khatib nació en Homs, el epicentro de las protestas contra el régimen de Bashar al Asad y territorio controlado por los rebeldes. Hace casi seis años que la Selección de futbol de Siria no juega en casa, en el estadio Abbasiyyin, en Damasco. La última ocasión en la que disputó un partido ante su gente fue en diciembre del 2010, en un encuentro amistoso ante Irak, que terminó perdiendo por un gol. Desde entonces, realiza los encuentros como local en Omán, Singapur, Qatar. En el exilio, la Selección siria se encuentra en la posición más cercana para asistir a su primer Mundial de futbol, Rusia 2018. Ya superó dos fases previas y se encuentra entre las mejores 12 selecciones asiáticas. Participa en la tercera ronda eliminatoria mundialista, en un contexto en el cual los últimos cinco años el conflicto armado entre el régimen de Bashar al Asad, presidente de Siria desde el 2000, y los opositores a su gobierno, quienes piden su salida, ha dejado más de 200,000 muertos, según cifras de Naciones Unidas. “Eso es una hazaña notable, para un equipo muy controlado y donde muchos habitantes creen que representa al gobierno, en lugar de a la nación. Siria se dividió de manera efectiva en feudos”, escribe James M. Dorsey en su blog El Turbulento Mundo de Medio Oriente en el Futbol. En el país más violento del mundo, según el informe anual Global Peace Index 2015, el balón no ha parado de rodar, ya sea a través de la Selección nacional, a varios cientos de kilómetros de distancia; o incluso dentro del mismo país árabe, cuya Liga se disputa en sólo dos de las 10 ciudades originales, Damasco y Latakia, y desde hace cuatro años las gradas lucen vacías por disposiciones oficiales. Los estadios se han convertido en escenarios de atentados terroristas por parte del Estado Islámico, que controla 45% del territorio de Siria. ¿Qué tanto importa el futbol en Siria? Para Muwafaq Jomaa, secretario general de Federación de Deportes de Siria, importa 30% del total de los recursos que destina el gobierno de Bashar al Asad a todas las disciplinas. Apenas en marzo de este año la federación de futbol de Siria, junto con el ministerio de deportes, realizó una oferta a José Mourinho para tomar las riendas de la Selección. Un gesto más para lo que el investigador del mundo árabe James M. Dorsey señala como “proyectar un sentido de que la vida continúa normalmente en las zonas que el gobierno de Siria controla”. Consultado por El Economista, el investigador de la Escuela de Estudios Internacionales de la Universidad Tecnológica de Nanyang James M. Dorsey indica que el contexto actual del futbol en Siria “está extremadamente dividido, porque el gobierno no tiene absoluto control del territorio, lo que significa que el futbol sólo se desarrolla en el área controlada por el gobierno”. Así fue con Firas al Khatib, quien renunció a la Selección por apoyar a los rebeldes, otros jugadores se han unido a las facciones revolucionarias, como es el caso de Abdul Baset al Sarout, portero de las selecciones juveniles de Siria y al que actualmente conocen como el ruiseñor de la revolución, debido a que se le puede ver en videos cantar para reclutar a jóvenes al movimiento rebelde. James M. Dorsey explica que “el equipo nacional de Siria está compuesto por miembros que apoyan al régimen o por quienes han permanecido en el país porque no ven que la migración sea una mejor opción. Los jugadores están temerosos de lo que les pase a sus familias si dejan al país”. Los futbolistas que son contrarios al régimen de Bashar al Asad prefieren el exilio, dejan de jugar o se suman a las filas de los rebeldes. Según The Guardian, más de 200 futbolistas han salido del país. “A la Selección le ha ido bien en el futbol internacional, lo que permite que el gobierno de Bashar al Asad se proyecte bien, de una forma diferente y no siempre con imágenes de violencia, armas y atrocidades. También, con el futbol, el gobierno proyecta un sentido de que la vida continúa normalmente en esas partes de Siria que controla”, añade el especialista. ¿Qué le espera al balompié de Siria? Siria se encuentra en su mejor momento futbolístico, alcanzó durante este año el lugar 101 del ranking de FIFA, su mejor ubicación, actualmente es el lugar 114. Aunque perdió su primer encuentro de la tercera fase de la eliminatoria mundialista, 1-0 ante Uzbekistán, empató el segundo partido sin goles ante la potencia de la zona, Corea del Sur. “Hay que ver si Siria permanece como un Estado-nación; a partir de eso se podría saber lo que le espera al futbol en Siria”, expresa James M. Dorsey. En un representativo nacional donde “los aficionados en Siria están tan divididos como el país, hay tres grupos: los que apoyan al régimen y al equipo nacional, los que son opuestos al régimen y ven al equipo como el equipo del régimen y no como el de Siria y no apoyan. Y, por último, los fans que ven a Siria como un Estado sin Bashar Al Asad”. Mientras el conflicto perdura, la pelota en Siria no ha dejado de rodar. Sunni scholars in Saudi Arabia and their Shiite counterparts in Iran may be at war over who is a Muslim, but there is one thing they agree on: soccer detracts from religious obligations. Iran, in the latest skirmish between soccer and Islam, is debating the propriety of playing a 2018 World Cup qualifier against South Korea on October 11, the day Shiites celebrate Tasua, the 9th day of the month of Moharram, one of the holiest days in the Shiite calendar on which the faithful commemorate the martyrdom of Imam Hussein, the grandson of Prophet Muhammad. The Iranian debate erupted six years after Saudi clerics parked flatbed trucks in front of Internet cafés to persuade fans to break away from watching matches being played in the 2010 World Cup in South Africa at prayer time. Imams rolled out red carpets to entice fans to pray. The incident highlighted the concern of conservative men of the cloth irrespective of what branch of Islam they adhere to who see soccer as competition because it is one of the few things that can evoke the kind of deep-seated passion in the Middle East and North Africa that religion does. Saudi-Iranian tensions, the Sunni-Shiite affinity with regard to soccer notwithstanding, erupted on the pitch earlier this year when Saudi clubs refused to play Asian Football Confederation (AFC) matches in the Islamic republic because of deteriorating relations between the two countries as a result of a struggle for regional hegemony. The Iranian debate was also being waged three years after Iran and Saudi Arabia played another crucial game days after President Hassan Rouhani was elected into office. Iranian authorities worried at the time that the match could become a venue for anti-government protests if Mr. Rouhani were to be defeated by a hardliner. In the end, the match provided an opportunity to celebrate two victories: Mr. Rouhani’s electoral triumph and the success of the Iranian national team. The current debate erupted when Ayatollah Mohammed Yazdi, a former head of the Iranian judiciary and ex-hard line member of the Assembly of Experts that elects and monitors Iran’s Supreme Leader, took Youth Affairs and Sports Minister Mahmoud Goudarzi to task for allowing next week’s match to go ahead on Tasua. A stark critic of Mr. Rouhani’s more liberal social and cultural policies, Ayatollah Yazdi currently heads the Society of Seminary Teachers in the holy city of Qom. The date for the match was fixed long before it was clear on what days the commemoration of Imam Hussein’s death would fall. Precise dates of Muslim holy days are often determined by moon sightings. Deputy parliament speaker Ali Motahari, scion of another prominent Shiite scholar, ridiculed the ayatollah’s criticism, according to Al Monitor, in an open letter. “Imagine that Iran scored against South Korea and some people cheered. Does that mean that the people are cheering the martyrdom of Imam Hussein? If someone after years meets his mother, father or child on the eve of Ashura, should he then not be happy and smiling to avoid violating the sanctity of the imam?” Mr. Motahari asked. The debate has sparked a rumour mill of unconfirmed reports on how the Iranian soccer association may be trying to mediate the opposing positions. Various reports suggested that Iran had requested that Korean fans restrain their expressions of support for their team or that the Korean national team wear dark coloured shirts rather than their traditional red ones as an acknowledgement of the mourning of the death of Imam Hussein. Ambivalence towards soccer among Saudi and Iranian scholars is deep-rooted. Soccer’s popularity in Iran forced the mullahs shortly after their toppling of the shah in 1979 to drop their initial opposition to the game. The mullah’s hesitancy toward the sport was expressed in a pamphlet published a year after the revolution by the government’s propaganda arm that argued that money spent on soccer would be better invested in social and economic development. Saudi Arabia’s religious establishment has similarly struggled with soccer. The official fatwa website of the General Presidency of Scholarly Research and Ifta (Fatwa) has endorsed the game but banned competitions – a ruling the Saudi government has consistently ignored. To Saudi Arabia’s Muslim scholars Iran’s Shiites are heretics. Iran denounces Saudi Arabia’s puritan Wahhabi interpretation of Islam as the inspiration of Sunni Muslim jihadism. There seems little that the two countries and their religious establishment can agree on, which makes the meeting of the minds on soccer all the more remarkable.